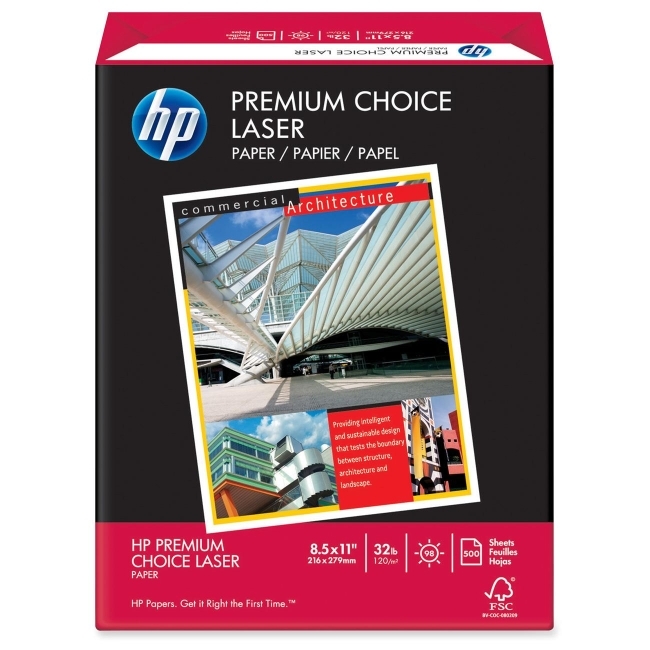 HP 113100 Premium Choice Laser Paper - Letter 8.50" x 11"
Bright laser paper delivers the look and feel of professionally printed documents. Designed for use with Hewlett-Packard LaserJet printers and color copiers. Acid-free paper is ideal for high-quality color presentations and documents. 32 lb.